Although only a few companies confirmed they are working hard to bring their first-ever foldable smartphone to the market, we're certain that many others are flirting with the idea and have given it a go in their own R&D labs. And then there are companies like Lenovo that already shown off some of their prototype units to prove that they are really close to fine-tuning the myth that is the “foldable smartphone.” Now, a new report coming from South Korea claims Lenovo plans to launch a foldable tablet that will boast a 13-inch display manufactured by LG. The unusual duo, Lenovo and LG Display, have teamed up to bring the first foldable tablet to the market. The 13-inch display made by LG Display is the biggest in the industry and can easily be used on a laptop, even when folded. Theoretically, such a 13-inch display would be just 9-inch in size when folded but the aspect ratio will become 4:3, while for a 16:9 aspect ratio that display would be just 8-inch in size when folded. Such a size is still good for day to day use even for a tablet, but a 6 or 7-inch display for a smartphone would become much smaller when folded. On the other hand, tablets aren't used so often as smartphones, hence the frequency of folding is much lower making the former more suitable for commercialization of foldable panels. 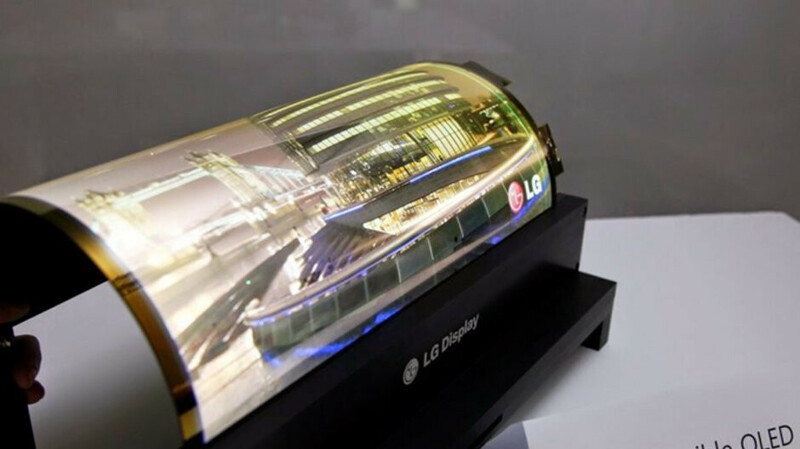 An LG Display official pointed out that taking into consideration the durability and usability aspect of the display industry, a tablet or a notebook would be more appropriate for a foldable panel rather than a smartphone. LG Display's 13-inch OLED foldable panel will be supplied to Lenovo in the second half of the next year, an industry official said. In the meantime, Samsung's prototype smartphone features a 7.3-inch foldable panel, while Huawei is working with BOE to design an 8-inch foldable phone.